When it comes to returning to work after maternity leave, you are awash with so many emotions: guilt that you have to leave your little one; anxiety that you are doing the right thing returning to work and apprehension that you may have completely forgotten how to even do your job. The last thing you need is the added worry of how to find the perfect childcare on top of all of this. Picking a childcare provider is a very personal choice, each option comes with its own merits and downfalls. 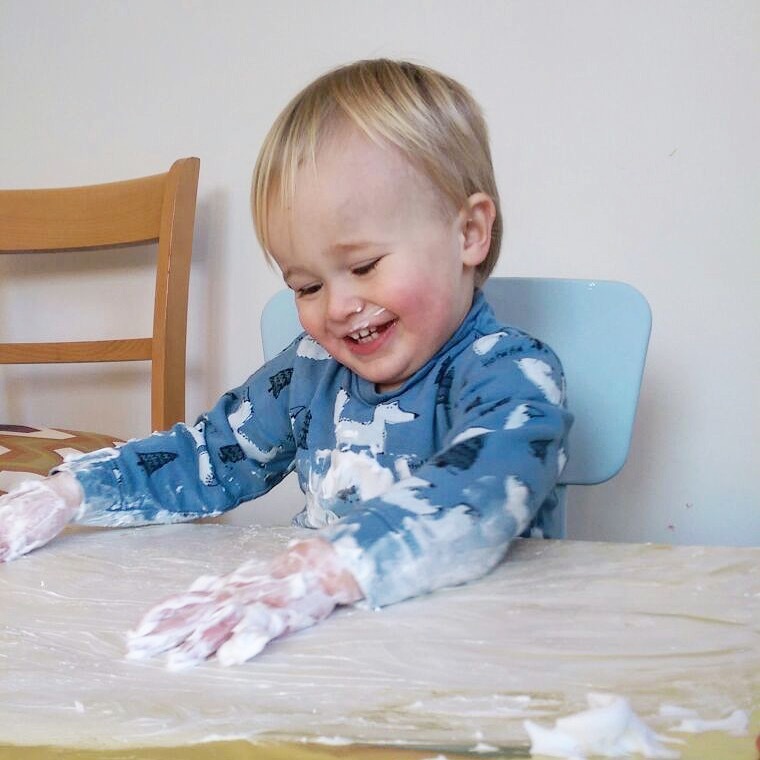 Throughout pregnancy and babyhood I had my mind set on a nursery local to us, but at the last minute after having a conversation with a work colleague I decided on a childminder and I’ve found that it’s been a great decision for us. How to find the right person? There are thousands of childminders out there and I needed to make sure I was picking the right person to look after my son for thirty five hours a week. One of the things that put me off about a childminder initially was that I thought anybody could register and there would not be the structure of learning and development like there would be in a nursery; but I soon found out I was wrong after reading that childminders are inspected by Oftsted just like schools and nurseries. Childminders aren’t just registered with Ofsted though, they also undergo various background checks including CRB checks so people with anything dodgy in their pasts can’t be left to look after children.This also includes all the adults living in the home too. This gave me huge peace of mind. I wanted Dexter to be in a homely environment as opposed to a structured setting and I envisaged him being welcomed into someone’s home and being treated like part of their extended family. I was put off by seeing young girls in my local area near to the nursery I had initially thought of putting Dexter in outside smoking, and I didn’t like the idea of having to deal with multiple people from one day to the next. The next worry I had was that this lady would not have any space, but after a few quick emails we arranged a visit and some settling in dates. We haven’t looked back since. 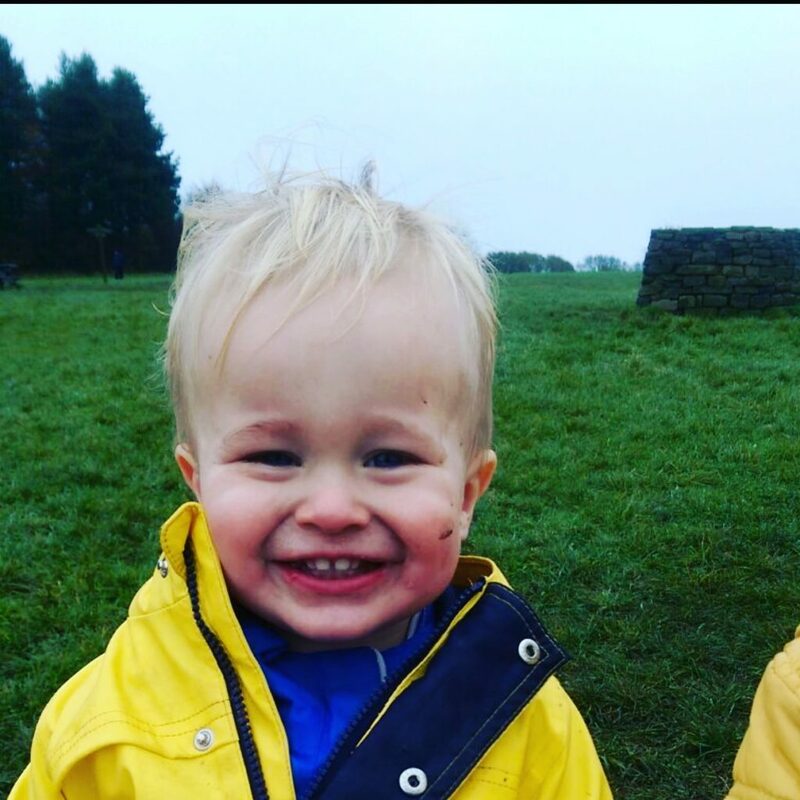 Dexter has been with his current childminder six months now and he has loved every single day he has spent there. Each week there is a theme and every morning is spent out and about in playgroups, in the woods or at the beach. The afternoons are made up with crafty activities and baking and there’s still enough time for three healthy and nutritious meals, snacks and a mid afternoon nap. I suppose the biggest downside to having a childminder instead of nursery is that if our childcare provider is sick, we have to find alternative childcare, which wouldn’t happen in a nursery. However, this hasn’t been an issue as of yet and we’ve been lucky that our holidays have coincided due to our term time only contract. If you’re looking for childcare in the near future, it’s so important to weigh up all the pros and cons and come to a decision that works for you and your family. Just like children themselves, every situation and every family is different and what works for us might not necessarily work for you. Most of all, best of luck in your return to work and finding the right childcare provider for you. Thank you for sharing your experience Abbie, did you find it tough growing up with lots of other children around? I definitely agree that it feels more homely him being with a childminder in her home than a nursery setting. However as he hasn’t been in a nursery I suppose I can’t really make judgement and am slightly biased! I have three children and I’ve used nurseries for my older two in the past (my youngest isn’t old enough yet for me to want to leave him!) I don’t know why but I never considered a childminder – I think as I have previously worked in nurseries I always felt drawn to them! Childminders come in great for school drop offs and pick ups! It’s so important to find the right childcare for you. I was so worried about finding a childcare provider for my daughter, I have even moved house so that my daughter can start at the nursery attached to the school that I want her to go to. I feel that was the right decision as she loves her nursery and I can see how amazing it is. Ah that’s great Jenni. It’s definitely worth the move to find the best childcare for your child. We hope to do the same this year. Oh, a nursery on a farm sounds so idyllic, I bet he LOVES it! I found it so hard the first time to choose a nursery. I looked at 3 but I took ages to choose which one. Thankfully I’ve never looked back and it was so easy to sign my youngest up for the same nursery. I’m glad you found a nursery that works for you. It’s great that when you have your second it’s another thing you don’t need to spend ages worrying about. It is certainly a mixed bag of emotions when you decide to return to work but luckily I am loving it which has been made easier by having a great childminder! That’s fantastic, it’s a huge decision and definitely one worth lots of thought and research! You’re so right that you have to weigh up everything when choosing the right childcare. We’re so lucky that we have an amazing nursery right near us. Thanks Laura, and thanks for being a great co-host! The little one being happy is definitely the most important factor! So glad Dex is happy with his childminder. Choosing the right childcare provider is a big decision. We want our little ones to be comfortable and happy. That’s the most important thing isn’t it! Really good and useful advice. I’ll bear it in mind as I get nearer going back to work. Thanks. Great stuff. Good luck with your return to work Erika!